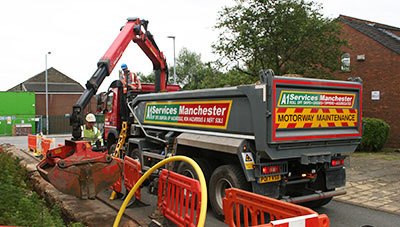 Muck Away/Grab Truck Hire in Manchester from one of the North West's leading waste management companies, A1 Services (Manchester) Limited. 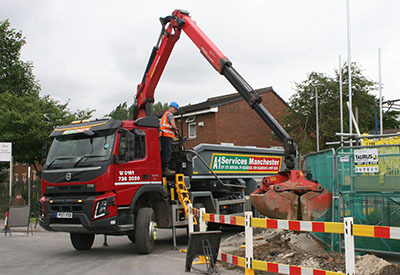 A1 Grab Hire provide a muck away service throughout Greater Manchester and large areas of the North West for smaller independent businesses and large regional and national companies operating in many sectors including utilities and construction. Our grab trucks can also deliver topsoil, sand and aggregates and deliver them to a precise location onsite such as back filling utility trenches. 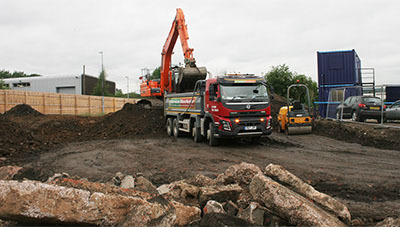 Grab trucks are extremely efficient and the most economical method of site clearance. They arrive on site, load themselves and then leave for disposal at a licensed recycling centre or landfill site. Grab Trucks are also an excellent alternative to hiring an excavator or loading shovel to load tipper trucks or skip hire. 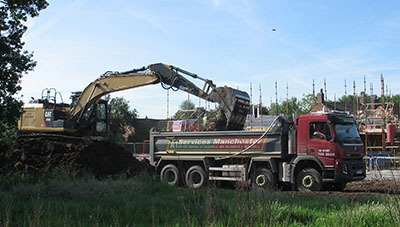 We remove soils, rubble, concrete, tarmac and all other non-hazardous waste from large and small projects such as: foundations, new builds, extensions, conversions, driveways, patios, landscaping projects, drainage, swimming pool installations, motorway and highway maintenance. 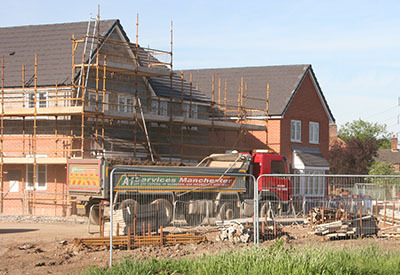 At A1 we offer very high levels of service to all our clients regardless of size from small local builders to national blue-chip construction companies. 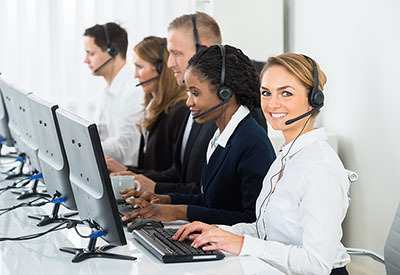 Whatever your project, driveway, extension, utilities or highway maintenance you can sure our professional, friendly and knowledgeable customer service team will take care of your waste processing requirements in a timely manner. A1 Grab Truck Hire normally operate six and a half days per week but we also offer an out of hours service that utility and highway maintenance companies in particular find useful for emergency call outs. 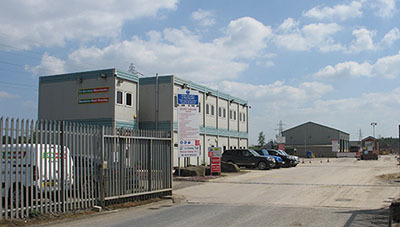 With over 50 years’ experience in waste management, a large modern fleet of trucks, a purpose built 13-acre Head Office facility with a waste transfer station and our own landfill restoration site, you can be sure that you are working with a partner that can taylor a waste management package to suit your project. A1 Services continuously invest in the business and throughout 2017 and into 2018 we have continued to up-dated and expanded our fleet of trucks. Shown here are three new grab trucks. The investment in these new Volvo 8-wheel grab trucks shows our commitment to our clients and employees to provide an excellent service with a fleet of modern well maintained vehicles. We offer Grab Truck Hire services throughout the Greater Manchester area and large areas of the North West including large parts of Lancashire, Cheshire and Liverpool to the West. 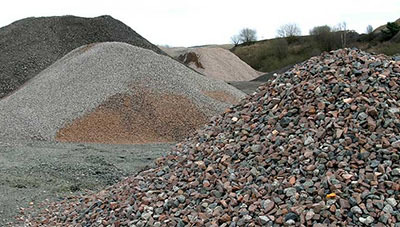 A1 offer a wide range of services: grab truck hire, tipper truck hire, ro ro commercial waste container hire and the supply of sand, topsoil and aggregates (quarried and recycled). 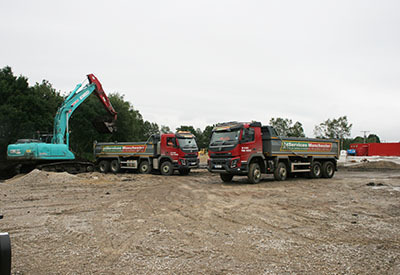 When we collect and remove waste from your site, we are able to recycle up to 95% of the waste, thereby diverting as much as possible from landfill. Our self-loading grab trucks are ideal for both waste removal & delivering sand & aggregates to a specific location in your project. 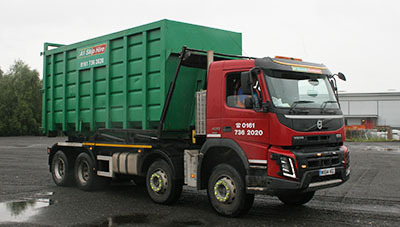 For larger volumes of waste we also have a large modern fleet of 8-wheel Volvo Tipper Trucks available for hire. A1 have various high-capacity skips & containers available for a variety of busness sectors with large volumes of waste material.